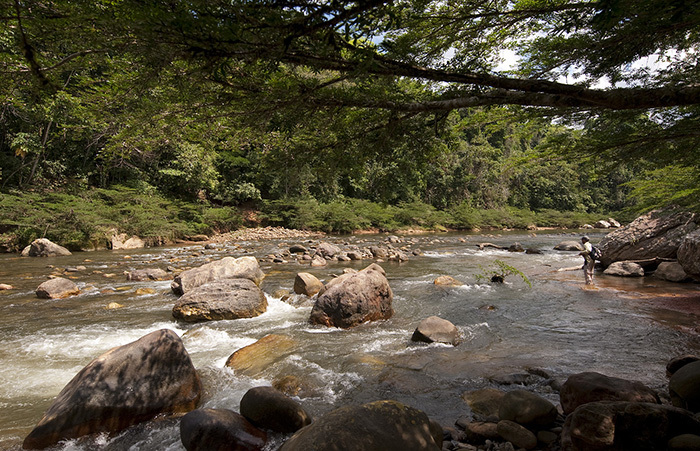 Perfectly situated with access to the Southern Flats, the intricate creek systems and the fabled West Side. 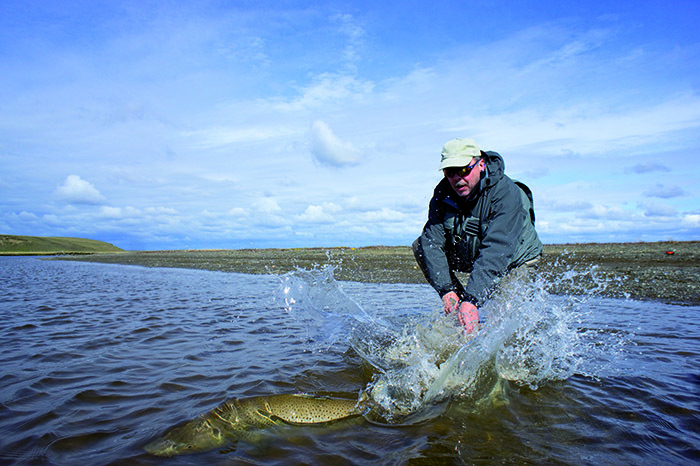 Diverse fishing grounds offer unprecedented options in inclement weather and wind. 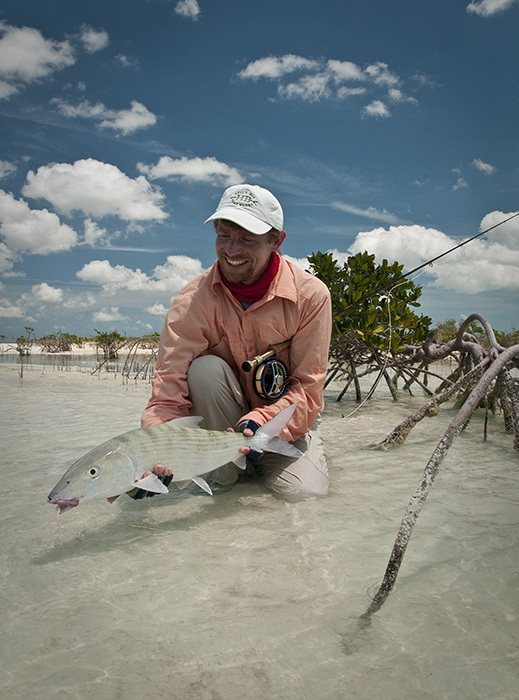 The West Side offers one of the best opportunities in the world to land double digit bonefish. You'll see them! 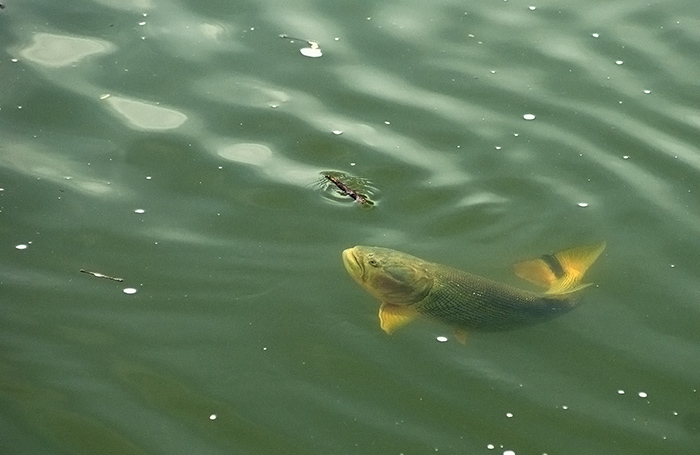 Fish see little pressure-it is not unusual to see fish turn to eat flies that land just short. 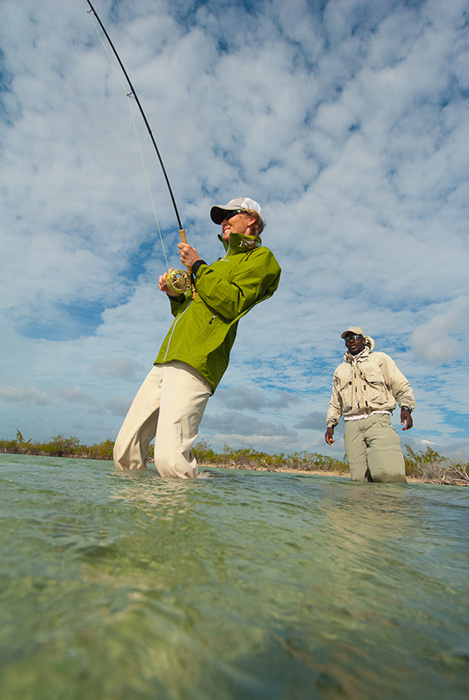 Veteran guide staff is one of the best in the Bahamas. 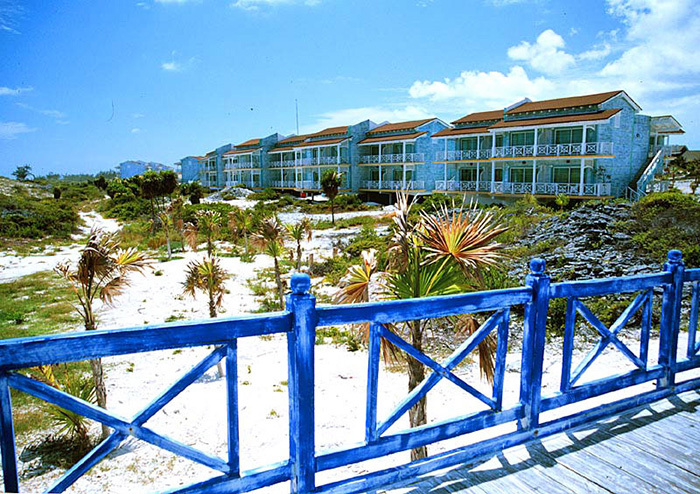 An excellent flat in front of the lodge when the tide is right. 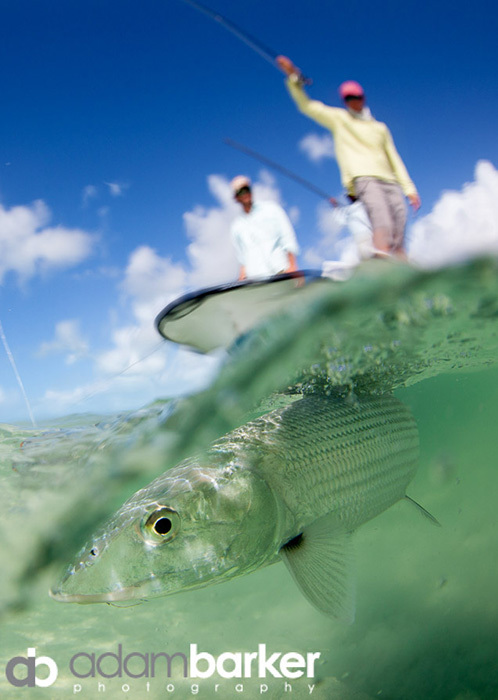 A saltwater classic since 1989, providing the highest levels of service and comfort, and getting better each year. 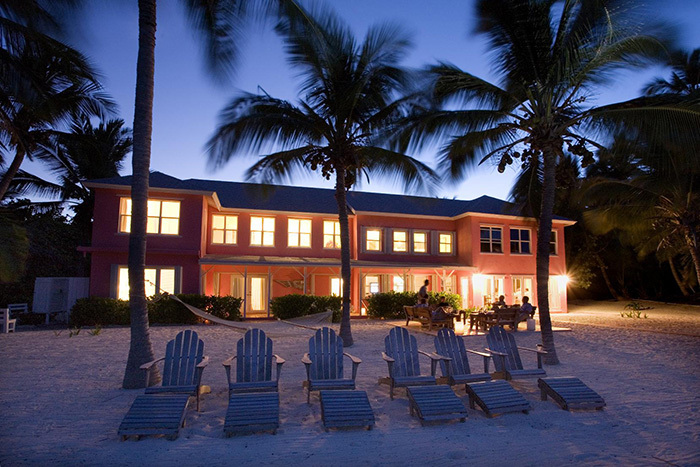 Bair's Lodge is located on the eastern side of South Andros Island, in the Bahamas. 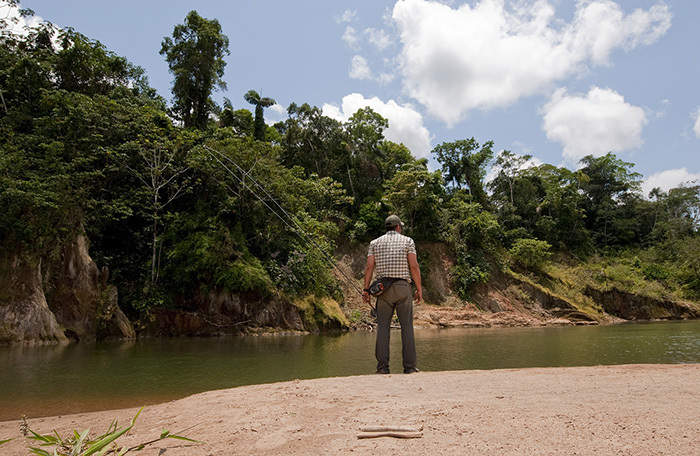 Congo Town is the nearest town, just 10 minutes drive from the lodge. 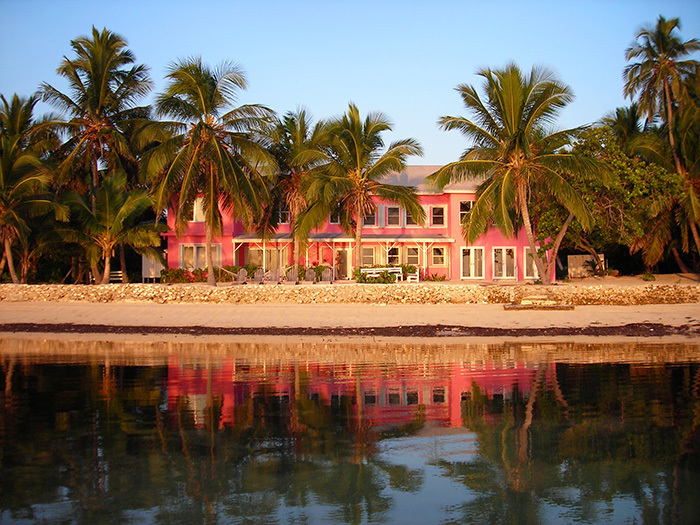 Andros Island is the largest island in the Bahamas, and still one of the least developed. 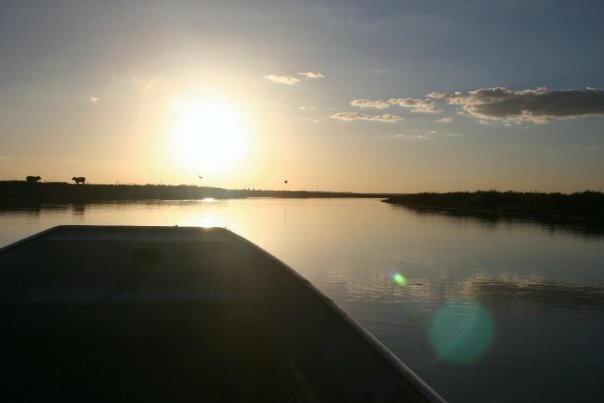 This unique and unspoiled island is divided by inland creeks and large channels, called bights. 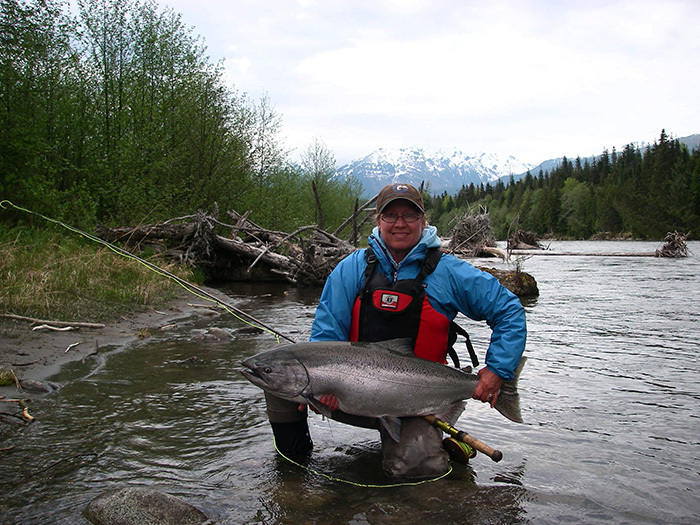 Bair's Lodge is situated between Deep Creek and Little Creek, neither being more than a 5 minute boat ride from the Lodge. 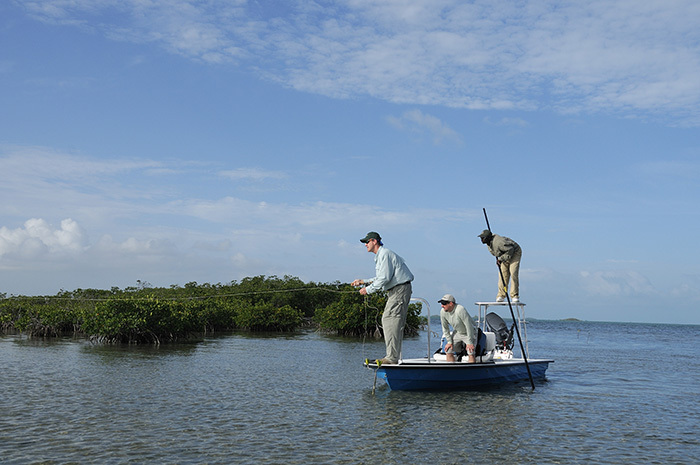 These creeks open out into a broad area of inland flats, with hundreds of small cays and connecting channels covering over 120 square miles. 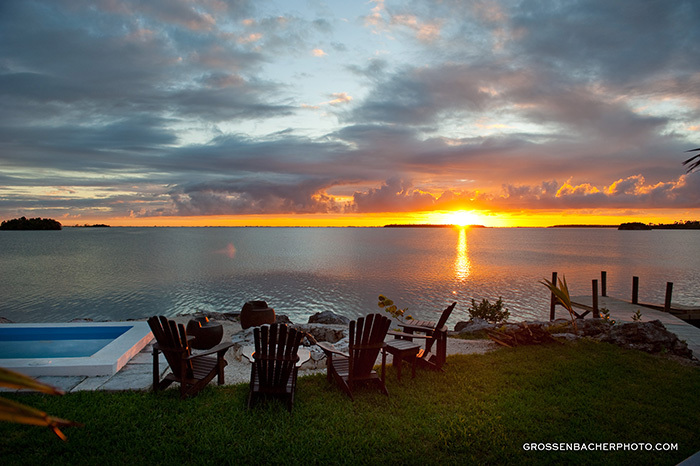 The pace of life on the island, as with the rest of the Bahamas, is very gentle. 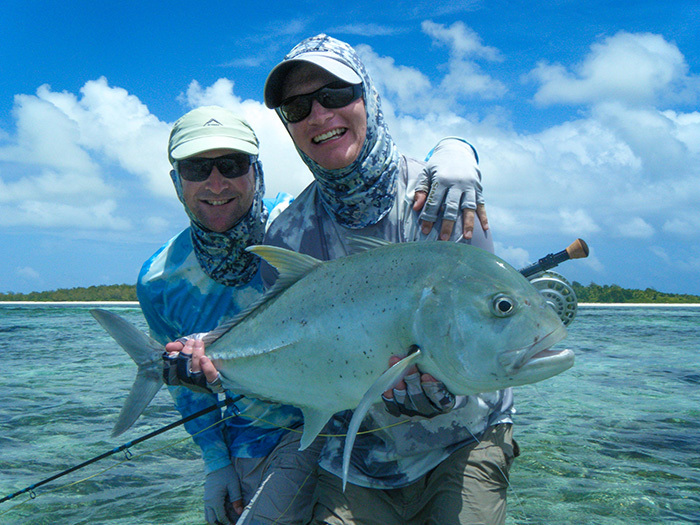 On South Andros Island the local community is relaxed and very family oriented. 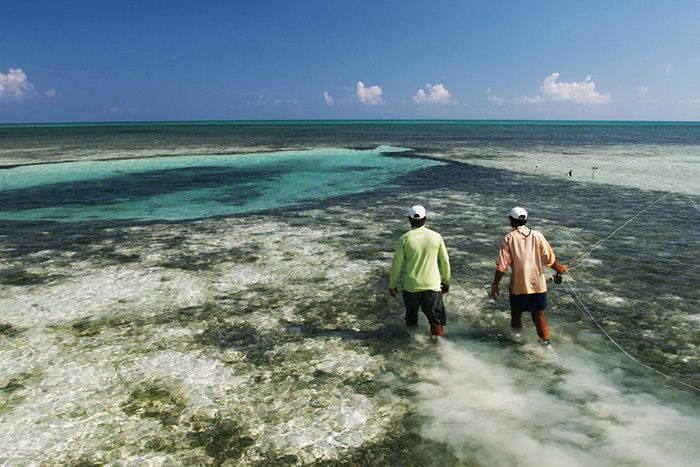 Small-scale commercial fishing, for fish and lobster, is the mainstay of the island. 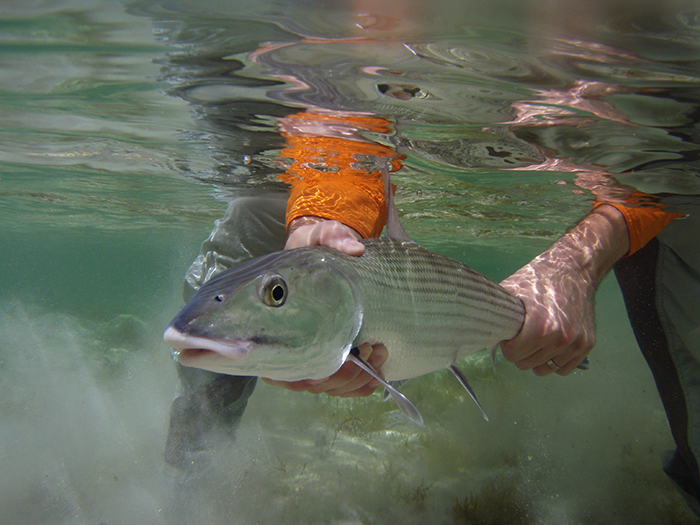 Andros has long been synonymous with the biggest bonefish in the Caribbean. 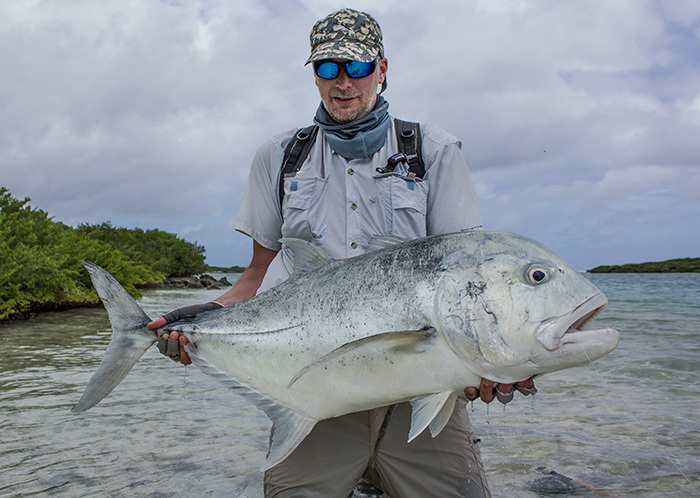 The south and west of the Island have built a reputation as the place to try for a 'Giant'. 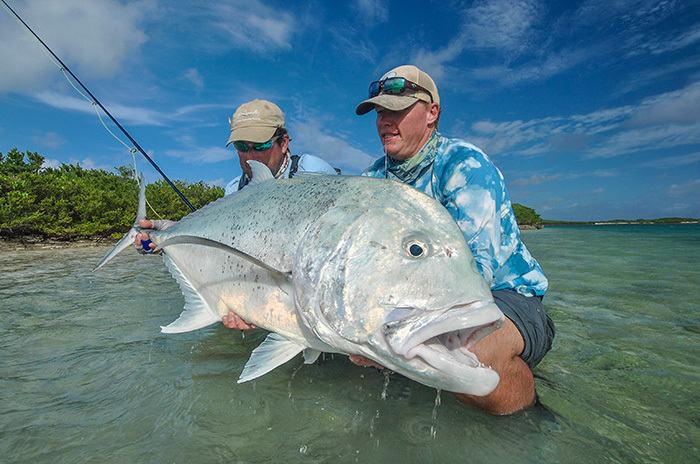 The flats in Andros are some of the largest and most varied in the world, offering opportunities to both wade and fish from the boat in the ocean flats or creeks and bights. 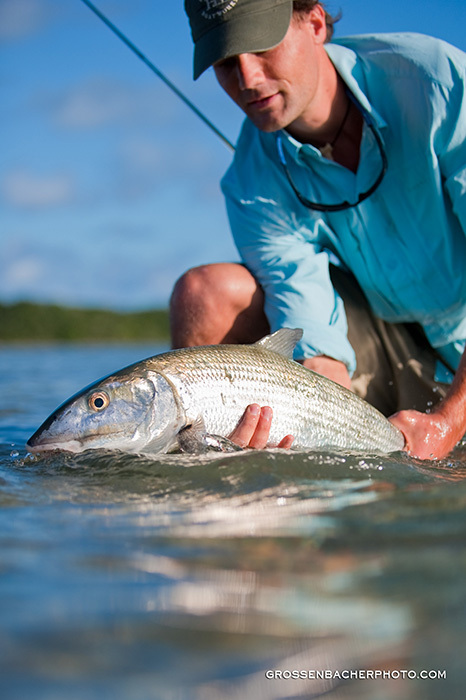 This incredible choice of classic bone-fishing environments, as well as the numbers and size of the bonefish, is what makes South Andros the bone-fishing capital of the world. 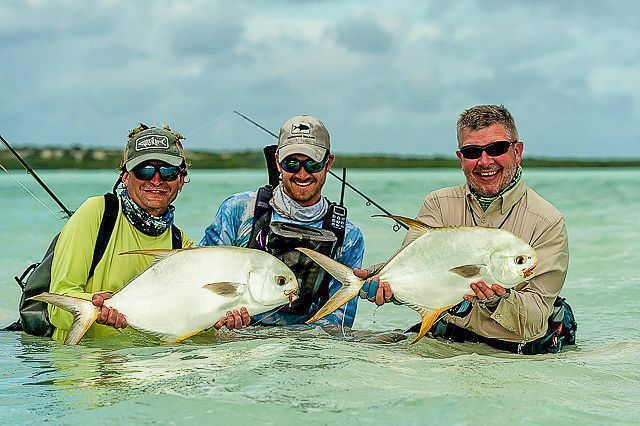 Bair's Lodge, famed for its access to the vast and largely under-fished flats of the south and west, is strategically situated between the South Bight and Water Cays, near Little Creek. 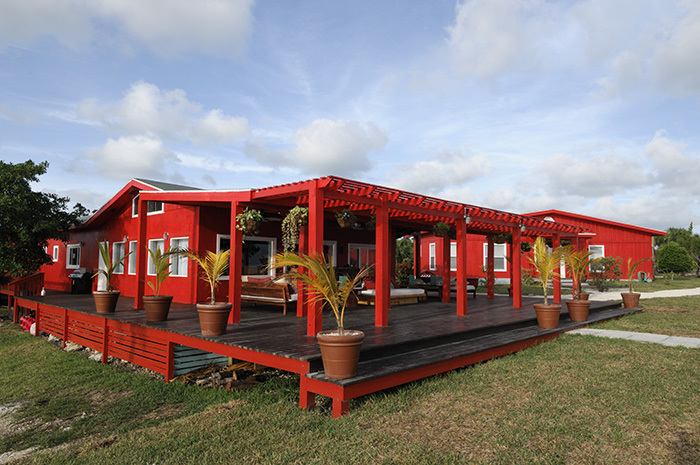 This location gives our guests easy access to the flats of the south, while providing many sheltered locations, irrespective of wind direction. 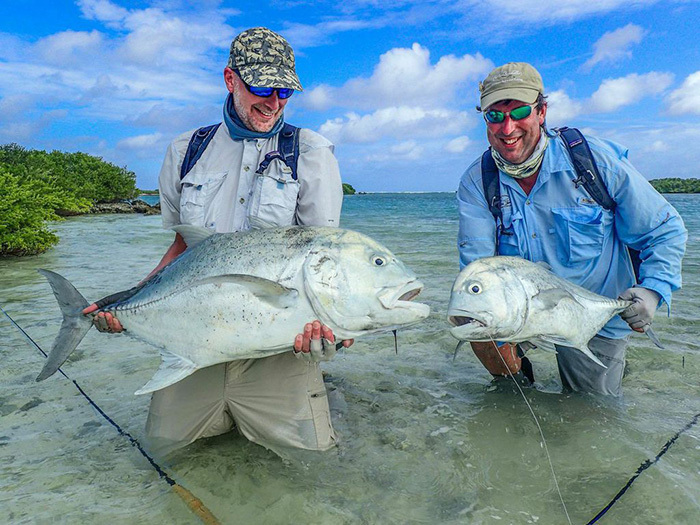 In addition, from Bair's Lodge, guests have the opportunity to try for occasional Permit and Tarpon, as well as offshore and reef species such as Wahoo, Tuna, Dorado, (Seasonal Billfish), Snapper, Barracuda, and Grouper. 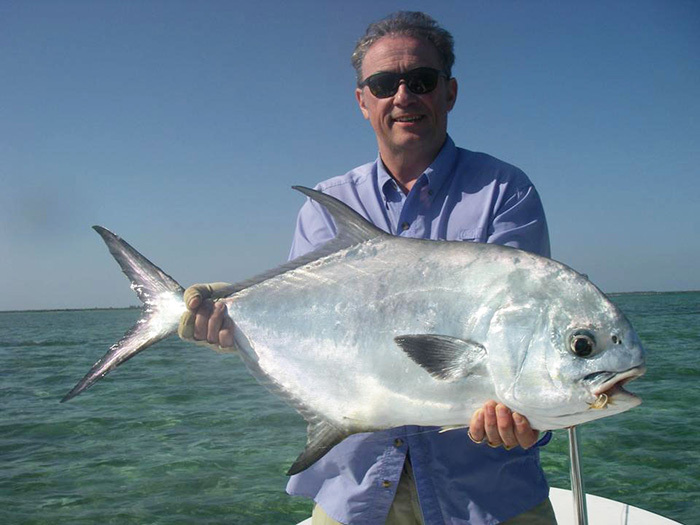 Offshore fishing should be arranged in advance or once at the lodge. 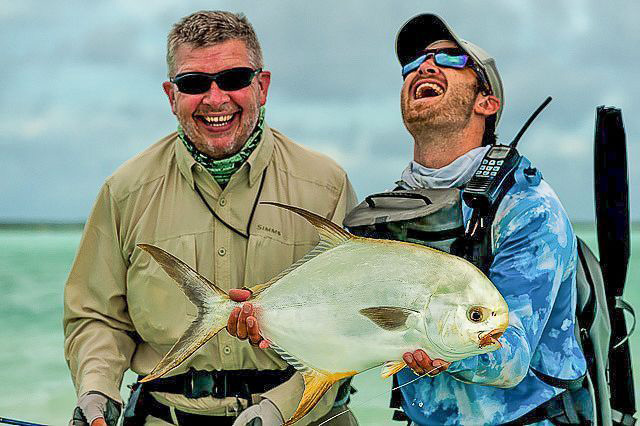 Offshore fishing does have an addition cost. 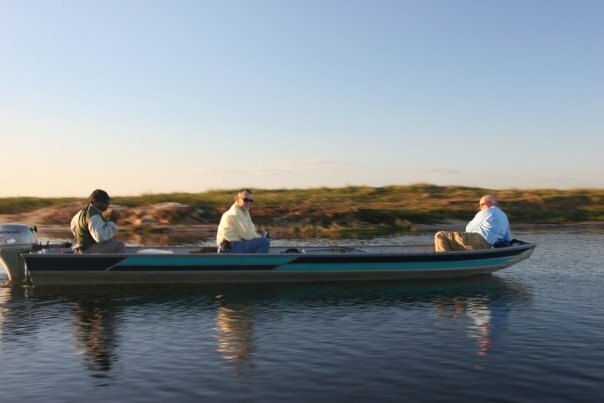 Every morning you step out of the lodge into a boat and can be fishing within a few minutes, or you can choose to ride further a-field to explore the more remote, pristine white sand flats Andros is famous for. 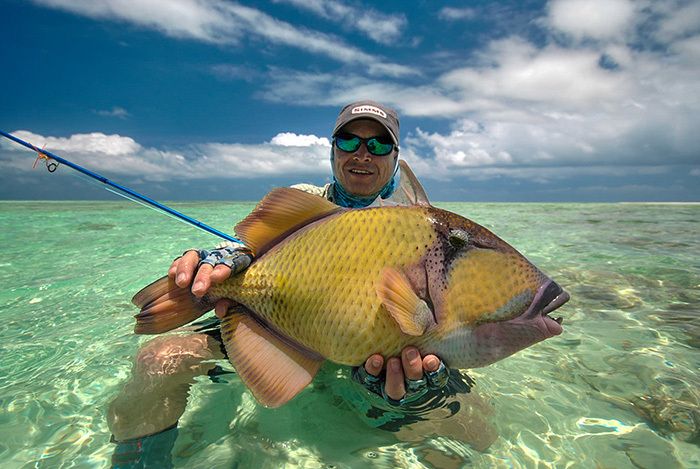 Deep Creek and Little Creek, a few minutes run from the lodge, open into large bay areas dotted with many small cays. Here there are always flats that offer protection from the wind. 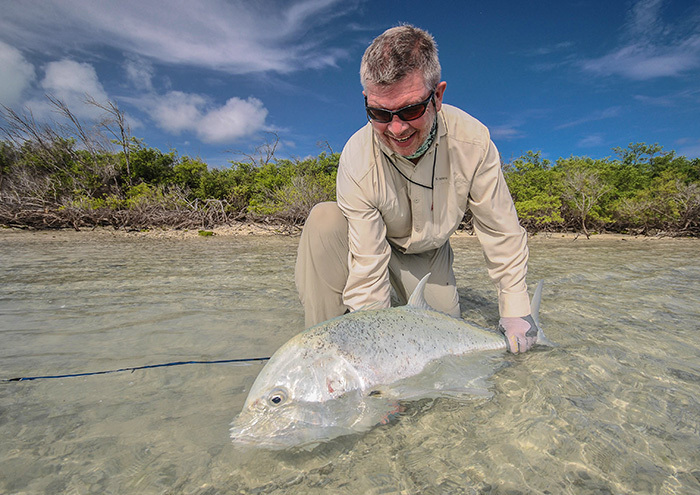 Both creeks allow access to the fabled West Side and other remote cays to the south and south-west that may provide lucky anglers with the possibility of trying for Permit and Tarpon to complete the famous "Grand Slam". 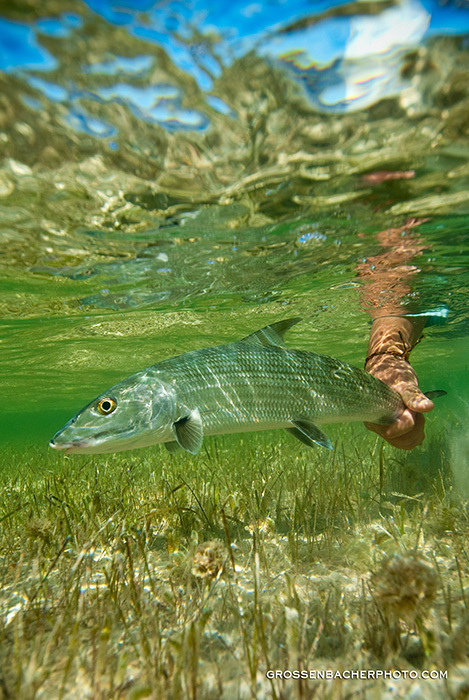 The Southern Flats are home to some of the largest schools of Bonefish. 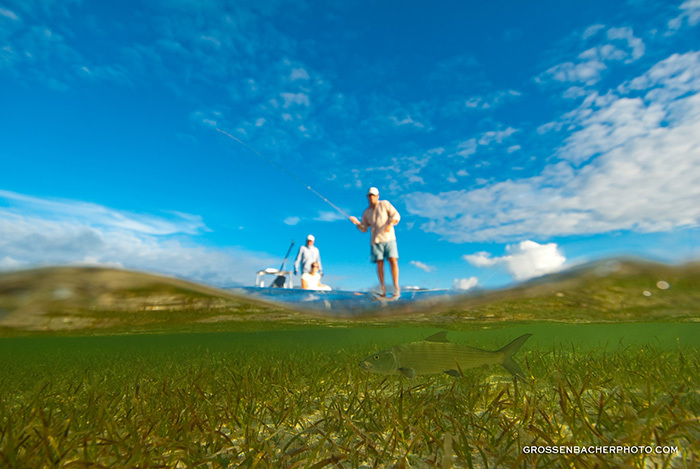 Grassy Creek is a 40 min boat ride from the lodge. 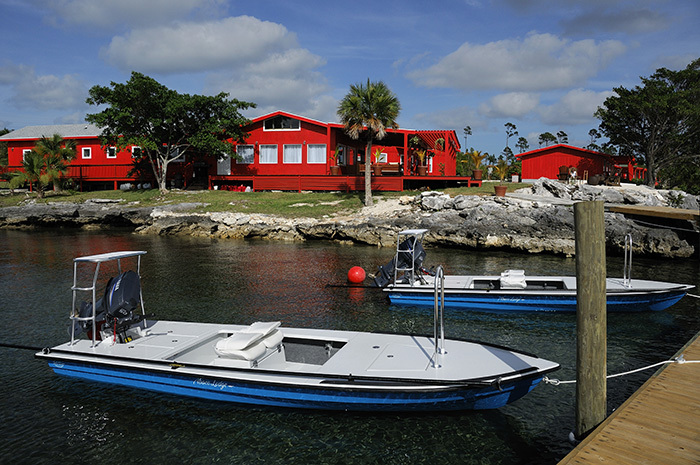 Weather permitting you can ride on to Hawksbill Creek and onto Cistern Point. 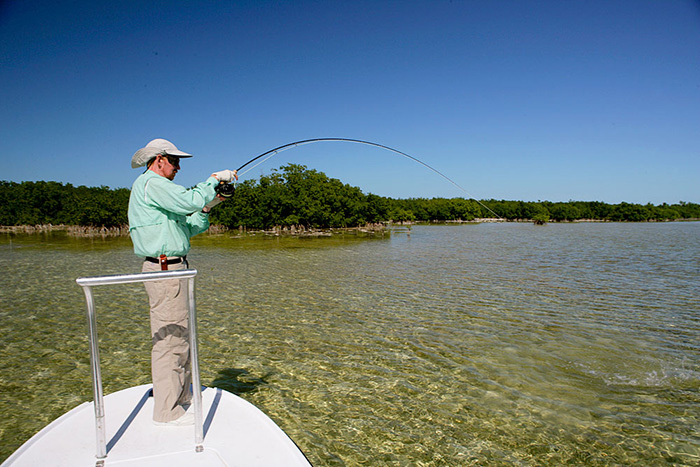 This area sees little fishing pressure and is regarded as the place to come for great numbers of fish. 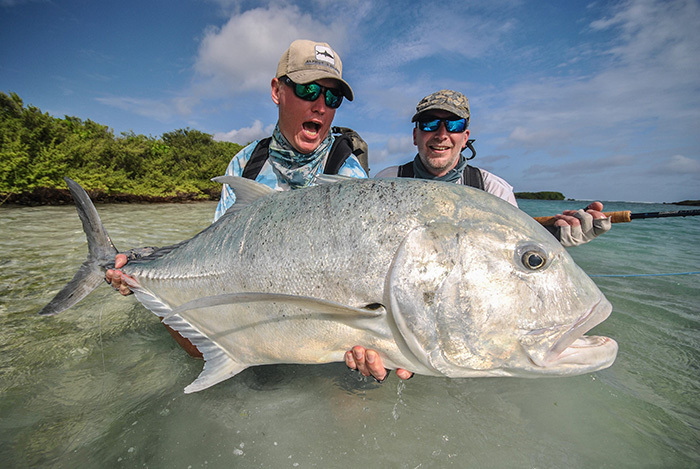 The flats stretch as far as the eye can see and wading next to these huge schools is the experience of a lifetime. 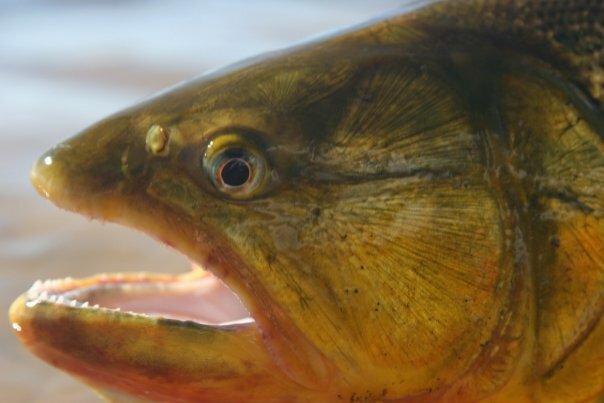 Someone said that Dorados are like Big Brown Trout with Latin blood. 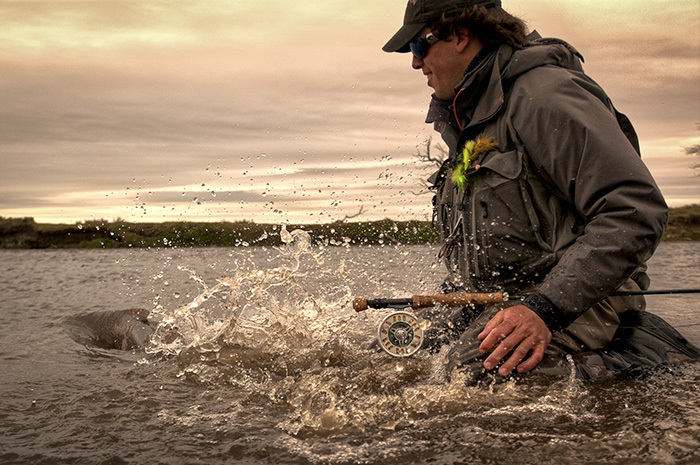 Some deeply believe that this is the ultimate fly-fishing experience. 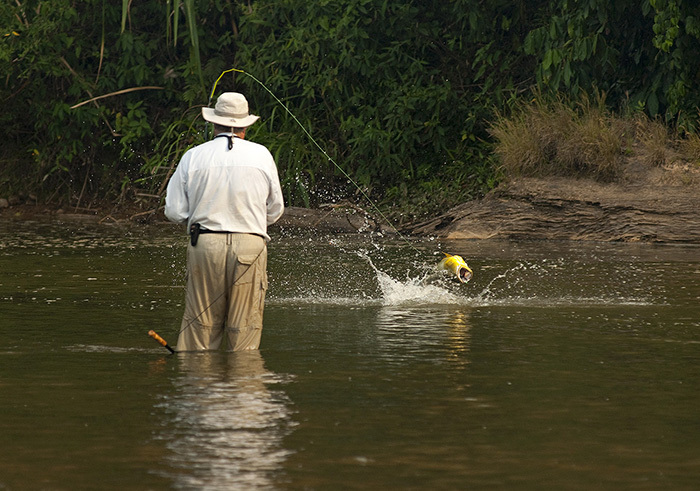 Fly fishing in the jungle for huge dorados. 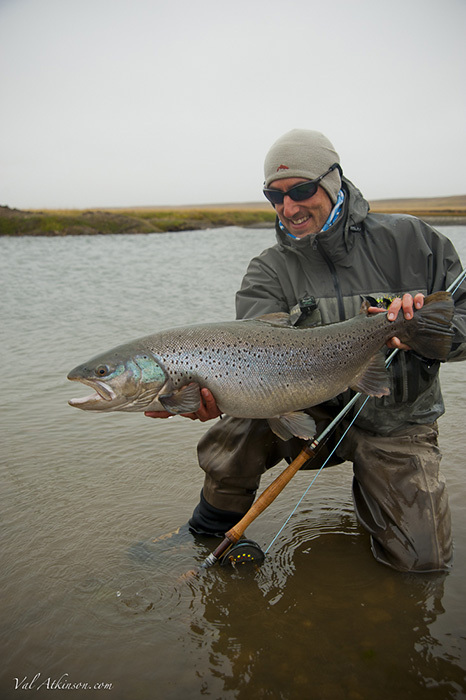 They can be spooky and every pool and run must be planned together with your guides. 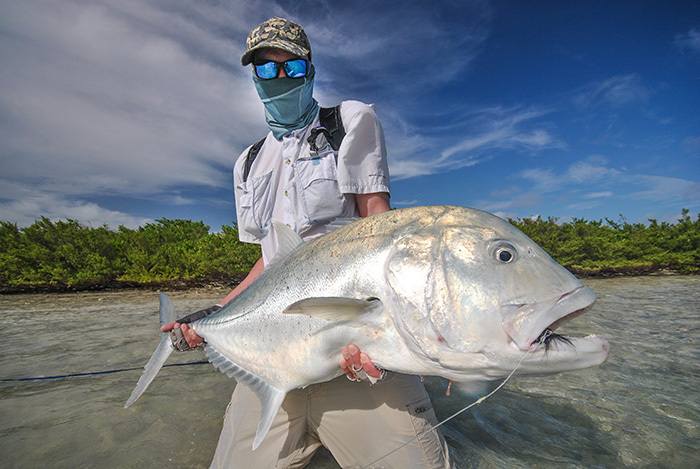 It’s something like fishing an animal as aggressive as a GT. 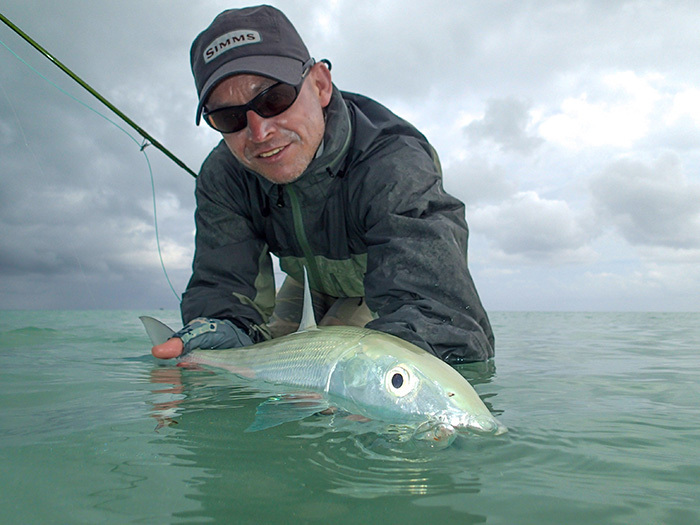 Other sportive species, as pirapitingas (our jungle freshwater permit) and yatoranas. 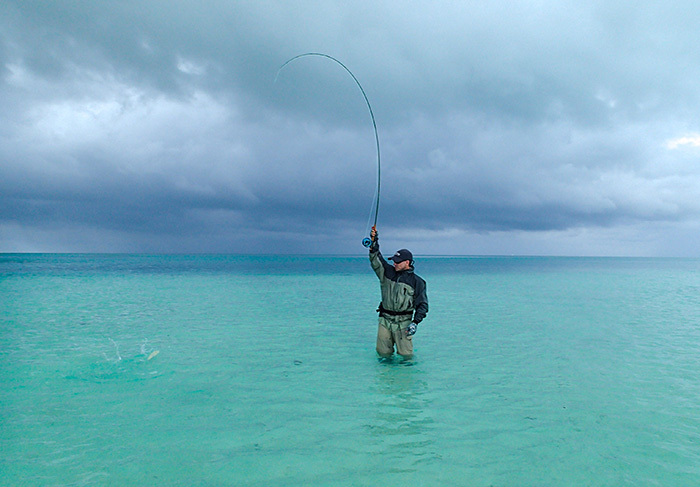 It's important to fish light equipped. 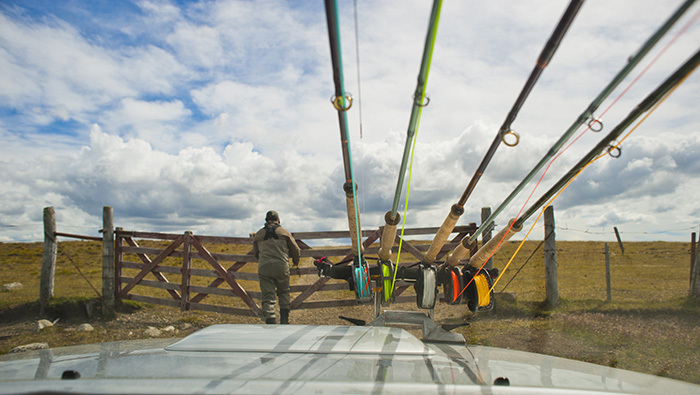 You wouldn't think we came because the fishing was just ''good''. 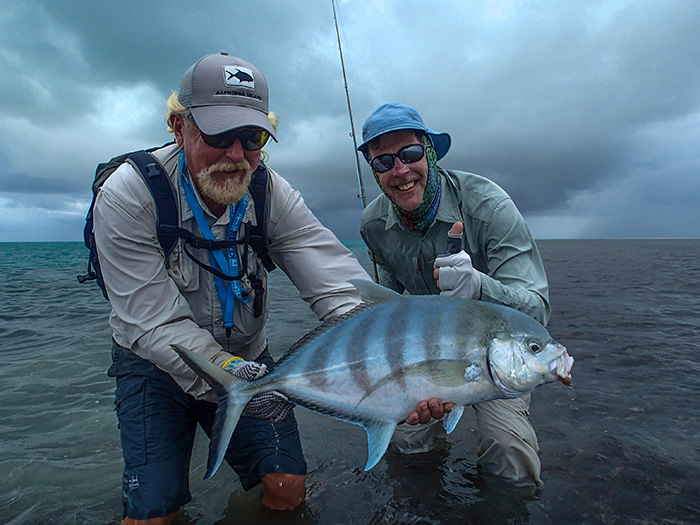 Among all of us in the Tsimane and Untamed Angling team have been lucky to fish in many of the best fishing places in the world, from the rocky crystal clear waters of Island, to the impossible flats from Seychelles; from the Intriguing Russian Tundra to the Desolate Tierra del Fuego and so on. Of all these wonderful places, none of them moves and represents so much for all of us. Probably because this is something that has never been shown to the world before. 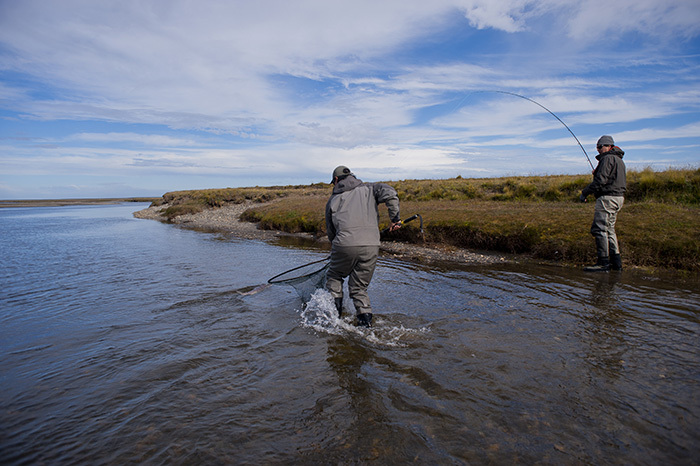 We deeply believe that this is the ultimate fly-fishing experience. 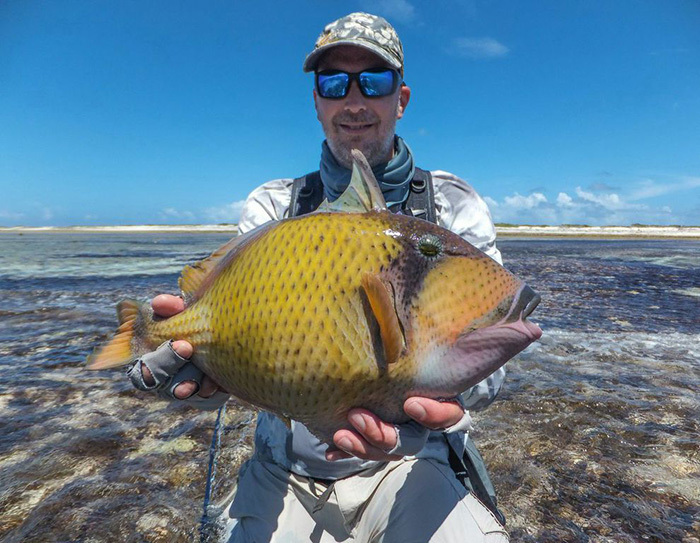 This is not a new river in Alaska or in the Amazon, a new destination in Patagonia or another flat lost somewhere in the Indic ocean, this opens a door (one of the last ones yet to be opened) in fly fishing: Fly fishing in the jungle for huge dorados in small clear water freestone rivers. 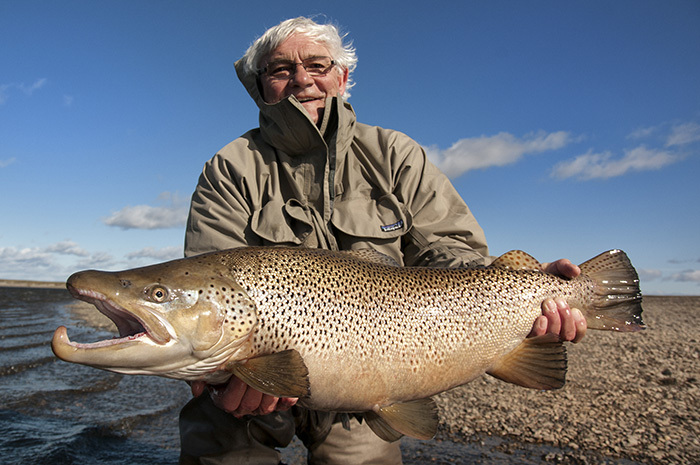 It’s something like fishing an animal as aggressive as a GT, as cyclothymic as an Atlantic salmon and as acrobatics as a jumping tarpon, but inside a trout stream environment like the Madison. 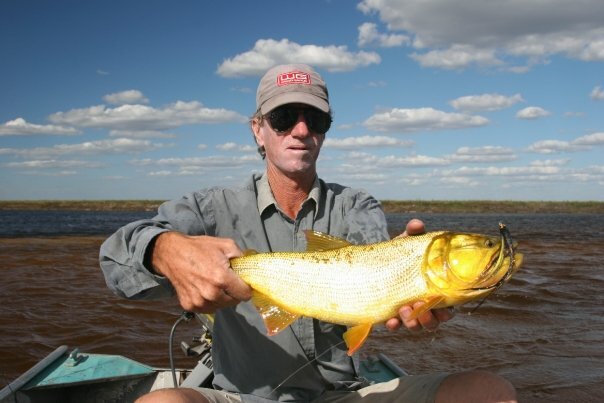 ?It may seem pretentious or exaggerated expression, but when you experience these amazing dorados of the Bolivian Amazon, you'll see that this is an extremely well targeted thinking. 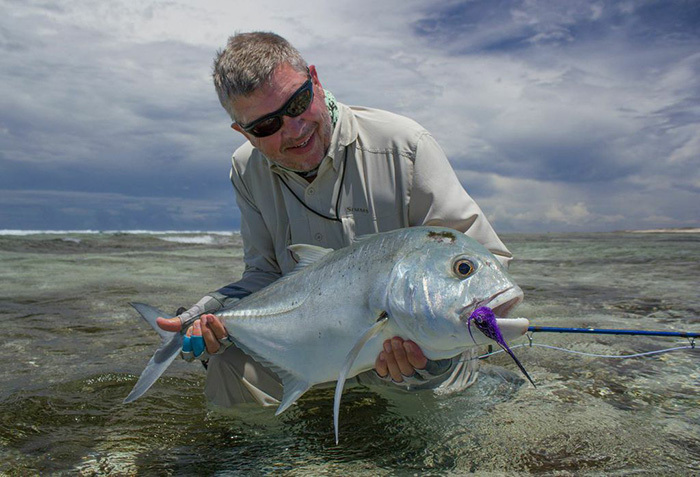 Besides the dorado (the king of those jungle rivers), add other so sportive species, as pirapitingas (our jungle freshwater permit) and yatoranas. 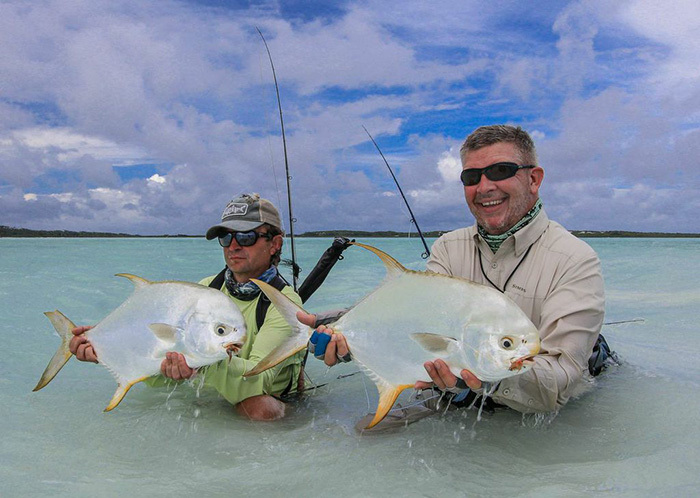 Together they make a trio very difficult to match in warm freshwater worldwide. 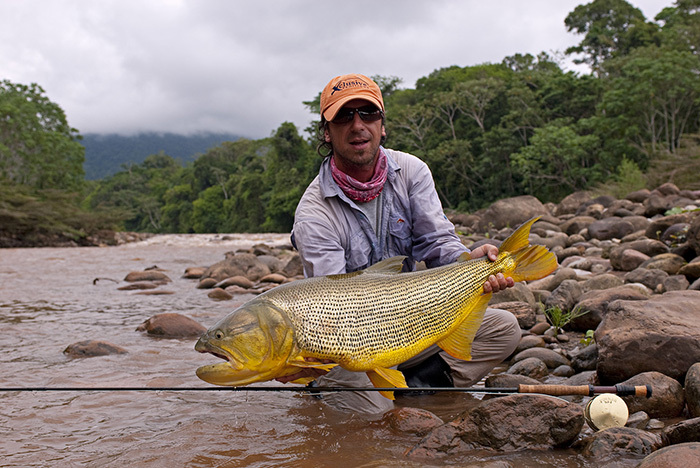 Fishing in these rivers, regardless the huge amount of fish, represents several challenges for the Angler since even the Tsimane fishes are voracious, they are not easy. 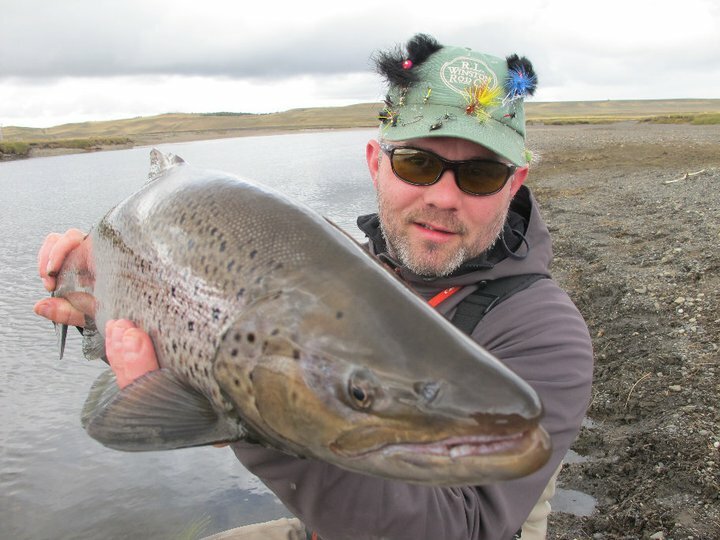 They can be spooky and every pool and run must be planned together with your guides. 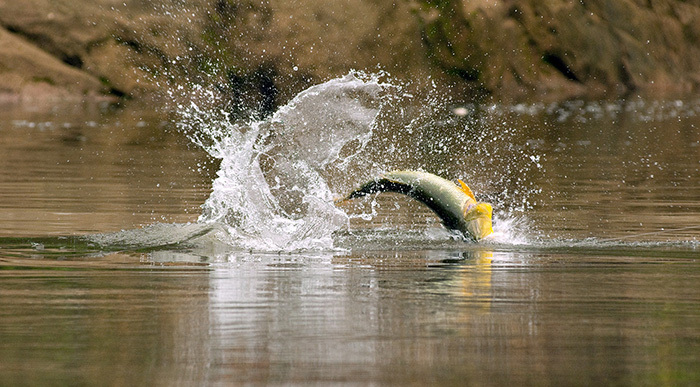 Most of the times dorados are very fast in their movements, and flies should be placed not only with accuracy but also on right time. 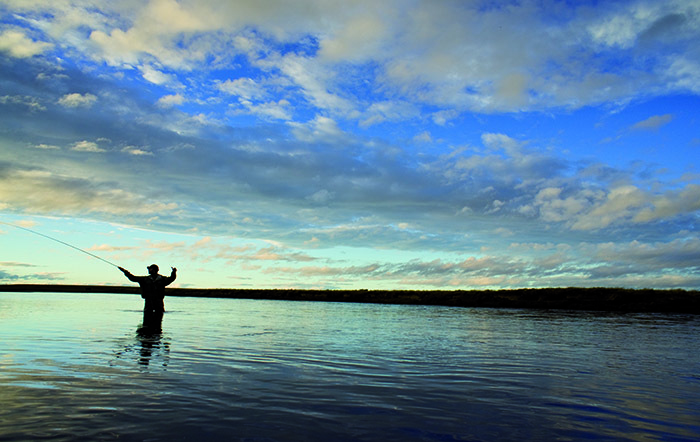 Angler who are able to shoot 60 feet of line in a couple false casts represents a big advantage. A powerful and long double haul would help on dealing with this. 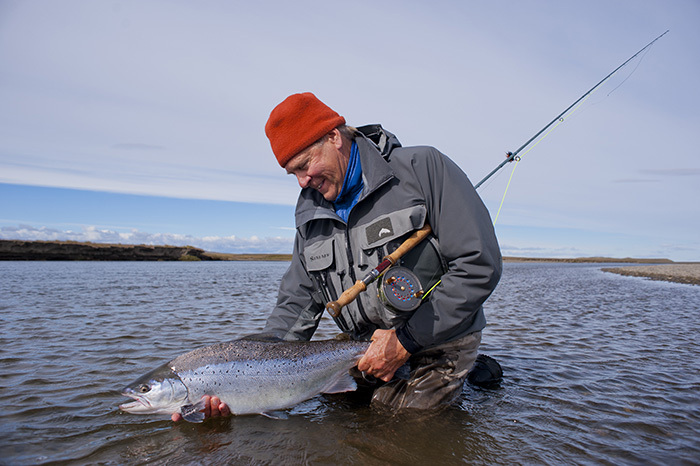 Flies used are quite big in general and most anglers might not be used to these flies and might find difficult to be accurate and to get distance fast with them, so we encourage our guests to practice in order to get familiar with their equipment. 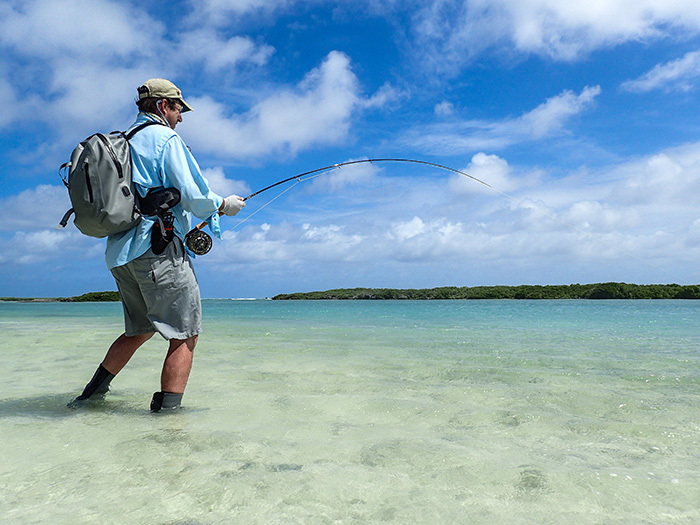 It's important to fish light equipped. 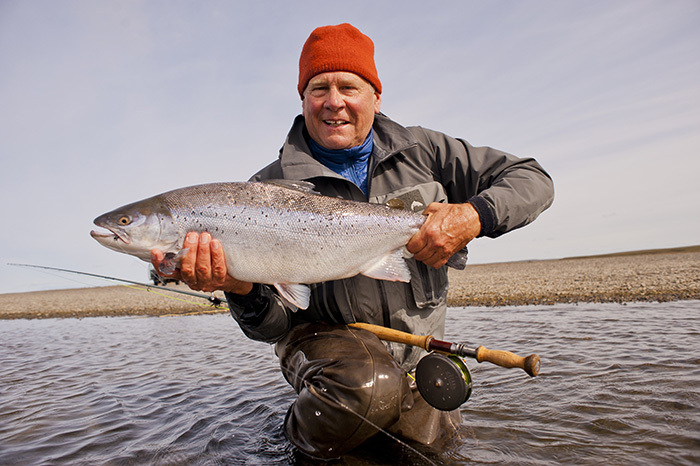 Carrying in your shirt's pockets, a streamers wallet with a few flies, a spool of mono and another of wire. Pliers on your waist and nothing else. Letting the rest of the gear in the boat, which will always be close in case you need it. 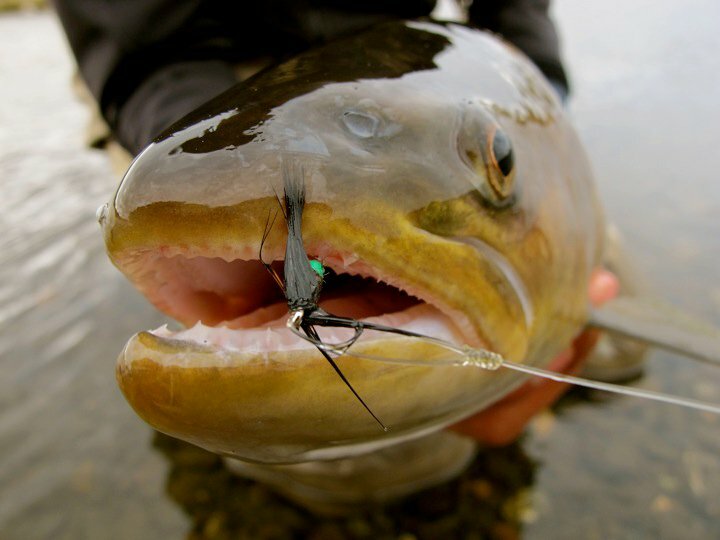 Someone said that Dorados are like Big Brown Trout with Latin blood, that's not a missed statement at all. 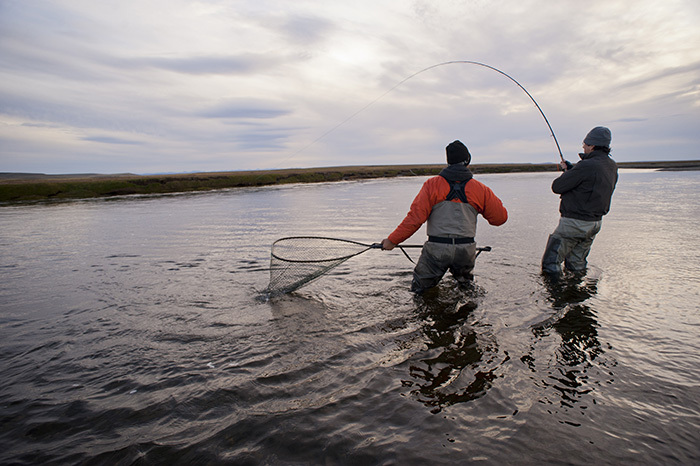 Well, also these rivers structures are the typical of a freestone river, same runs same pools and a trophy trout fisherman used to fish streamers will feel comfortable and will be able to read the water. 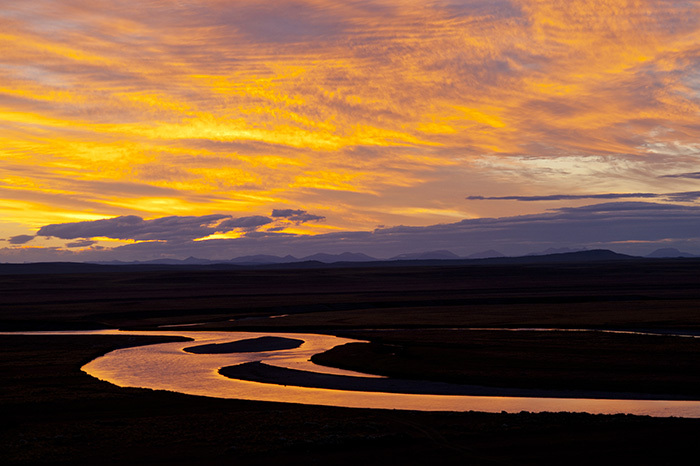 Light Gallery cannot find your image path: images/articles/chile! 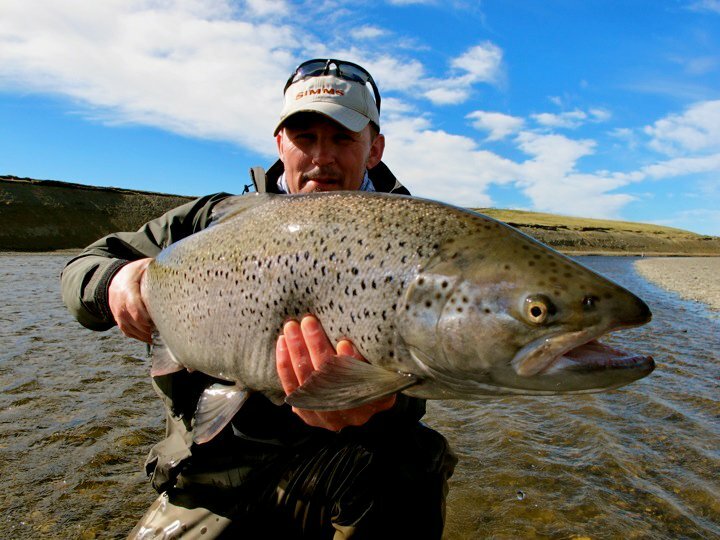 The Rio Grande is the largest river on the Tierra del Fuego island, and is well know for its huge seatrout and the solitude of the countryside. Our lodge is the Estancia Cameron's recently refurbished administration house, built on a high cliff, with a great view over the Darwin Range and less than one hundred yards from the Río Grande. 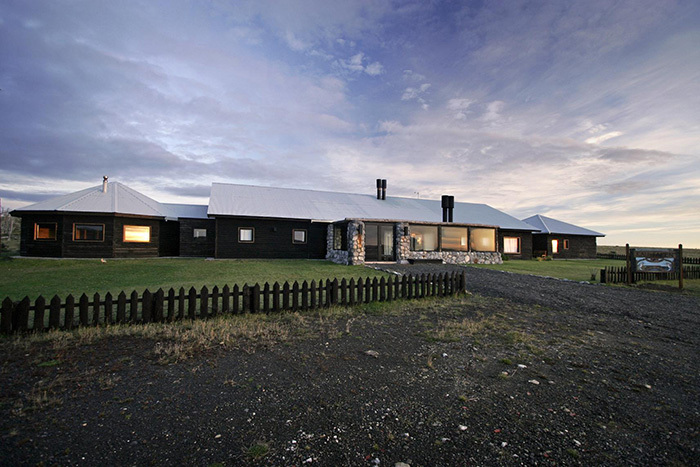 This Estancia has about fifty kilometers of frontage on the north side of the Río Grande (all the way down stream to the Argentinean border), with Ted Turner´s Estancia San José neighboring on the "other side of the fence". Cameron's water is almost identical to our downriver neighbor's section, for those who have already fished there. It's a beautifull place, surrounded by wooded hillsides, with the snowy Darwin Range overlooking the region, The wildlife and bird are much more plentifull than one on the Argentinean side - on any given day, It's not unusual to see hundred of grazing guanacos, or observe dozen of magnificent condors soaring overhead and blue eagles for Magelan geese in flight. 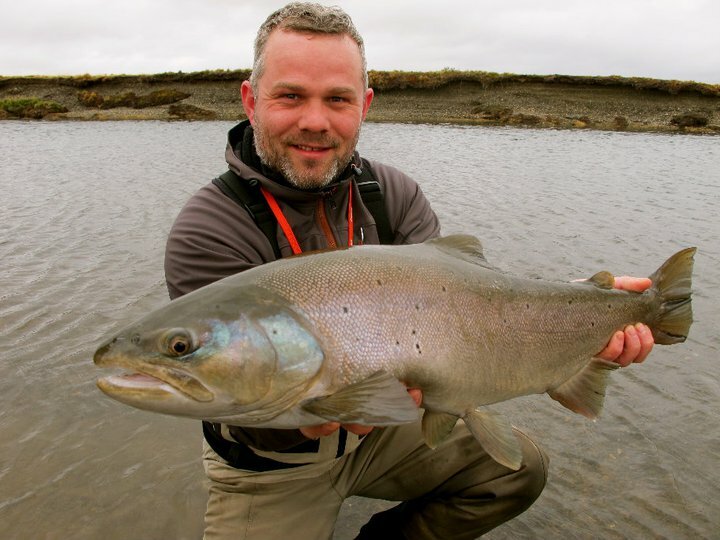 You will especially enjoy the solitude of having this esplendid fishery to yourself, with the chance of fishing yet unnamed pools where few outsiders have ever cast a fly! 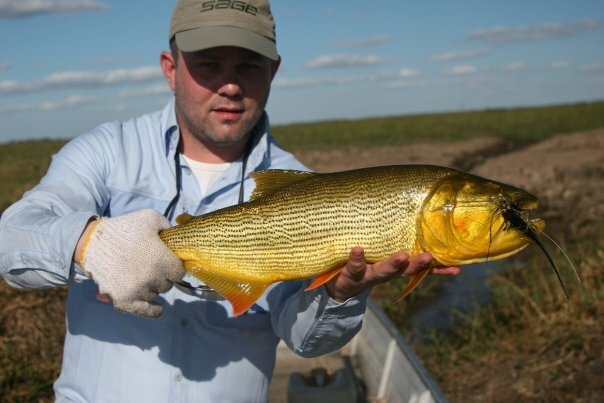 It's an excellent river for flyfishing, sometimes more challenging and rewarding than downstream in Argentina, due to the different techniques and finesse that have to be enployed. 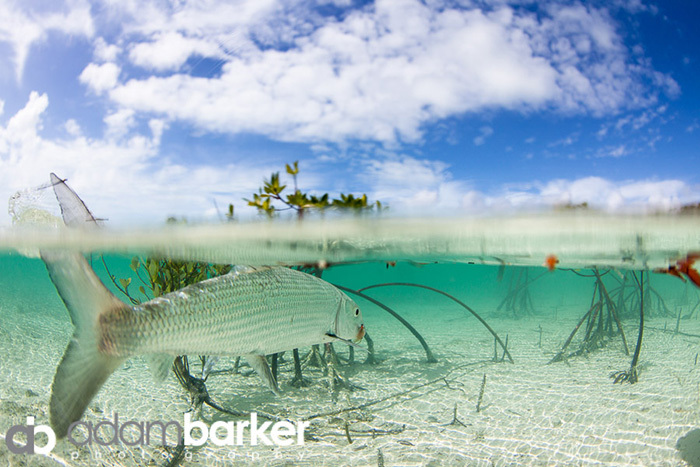 The water is much clearer, mantains it's clarity, even in higher flows. 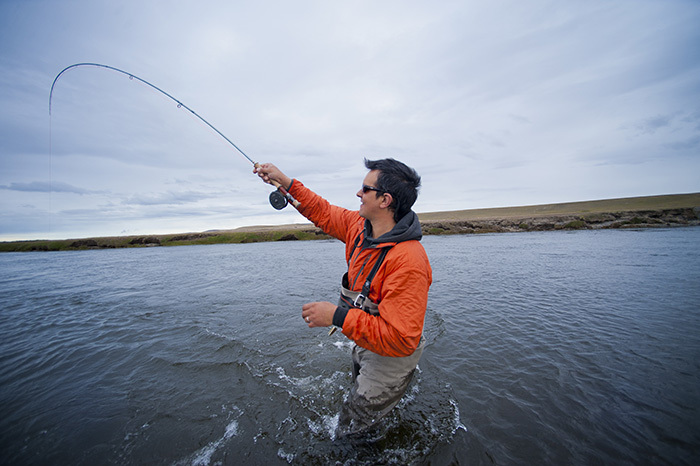 The fishing is also rewarding because there's always action. 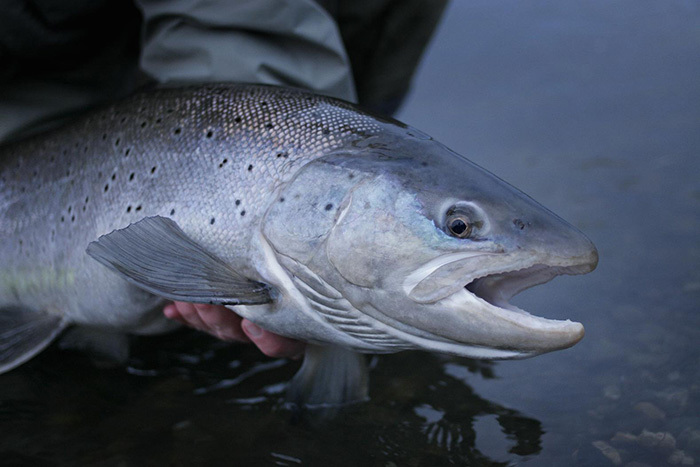 In this section of the river sea run browns average ten pounds, with monsters up to eighteen/twenty pounds. 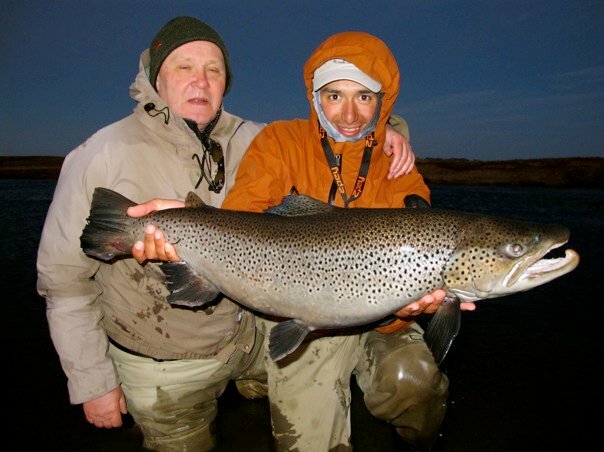 On occasion we'll even land really huge fish, well over twenty kilos (twenty six pounds!!) 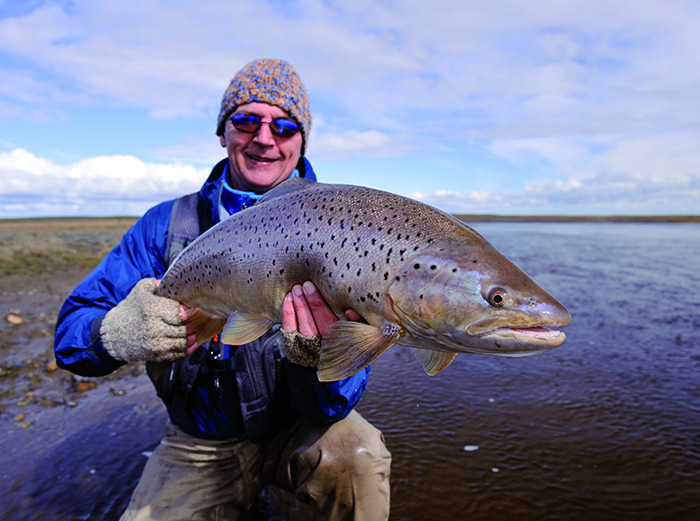 Unlike the lower Argentinean section of the river, there are also resident river browns up to the six pound class, beautifully colored fish that readily take our flies. 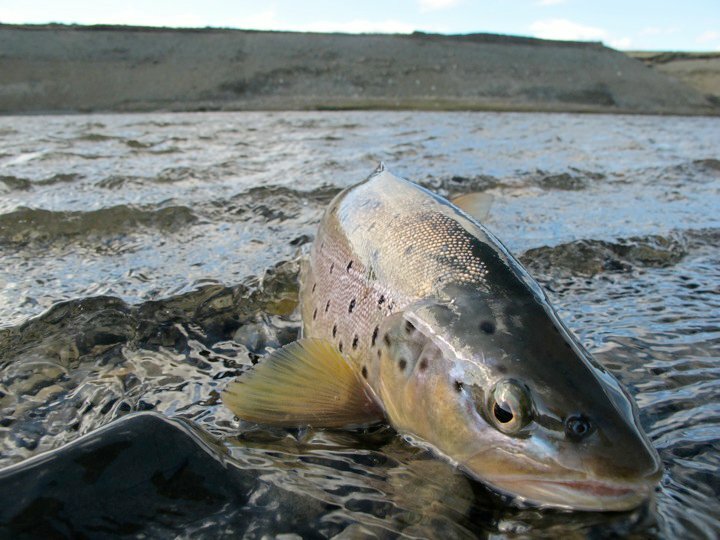 In addition, anglers will find some healthy, "chromer" lake run browns, with the shape of a rugby ball, that enter the river from the Blanco lake for our enjoyment. 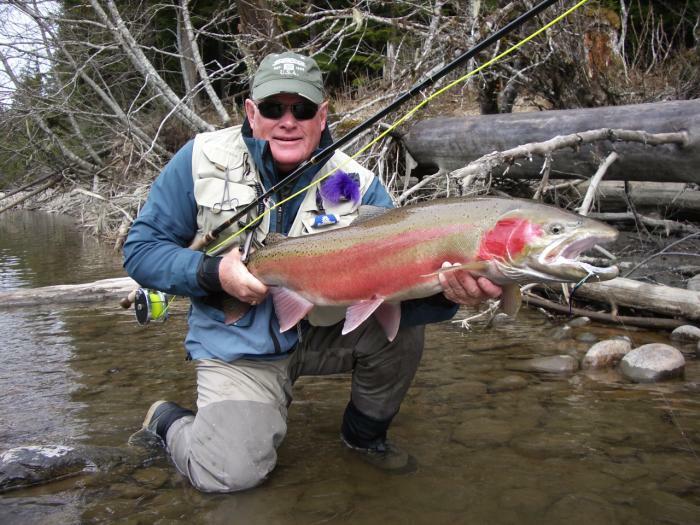 And, completing the "Grand Slam", there are rainbows too! 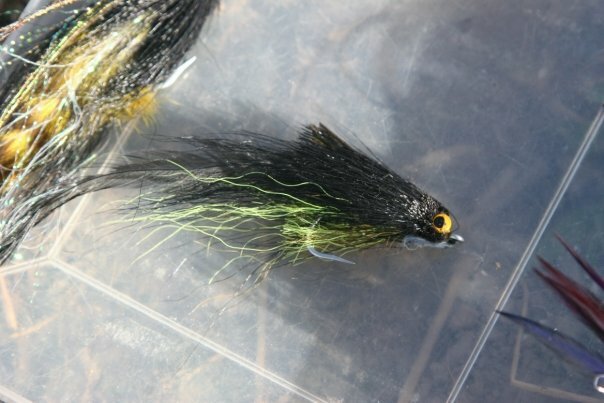 You will see them some meters from you, down stream, feeding on the aquatic insect you kick up from bottom of the river. It's something to be seen! The Galapagos Islands are hosts to some of the most important water currents in the Eastern Pacific. 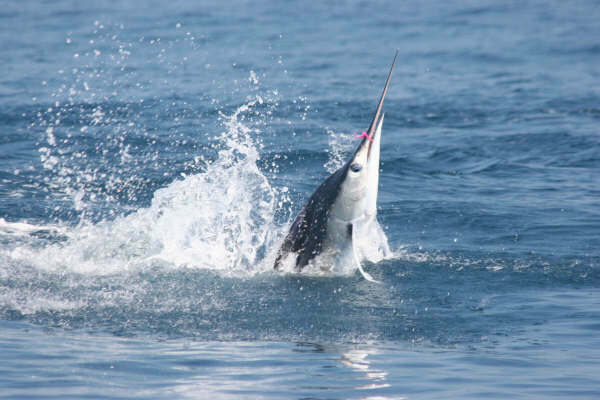 Some of the best striped marlin fishing known to man. 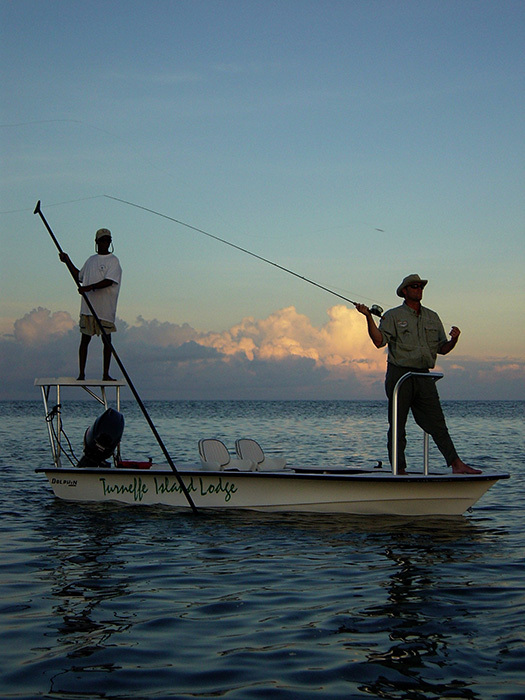 Boats are prepared with crews and tackle for most occasions and types of fishing. 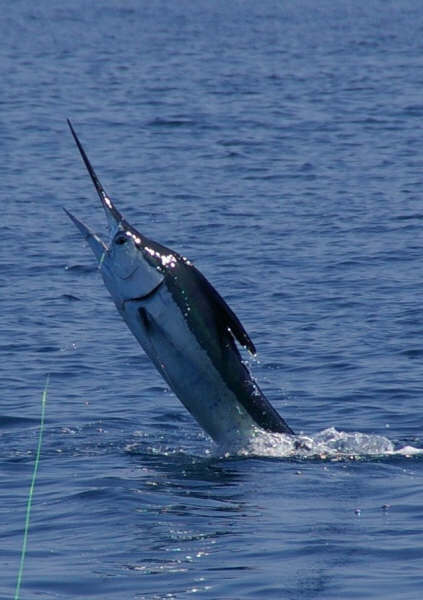 Most popular fishing is no doubt the striped marlin fishery. 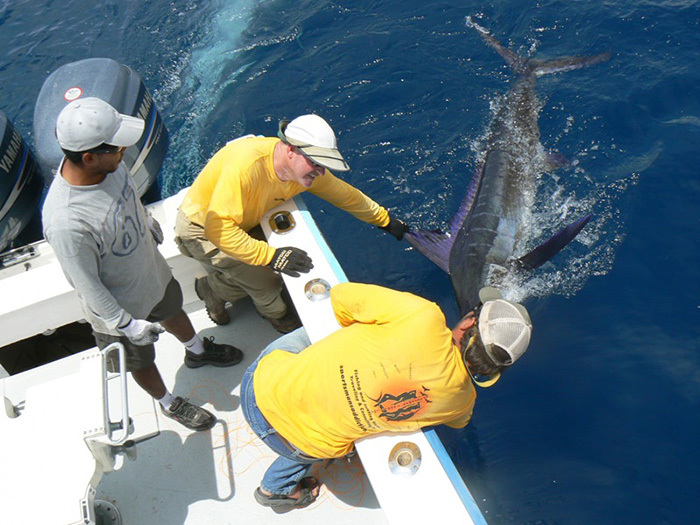 Blue marlin and black marlin are no strangers either. Wahoo and tuna catches can sometimes be in double digits. 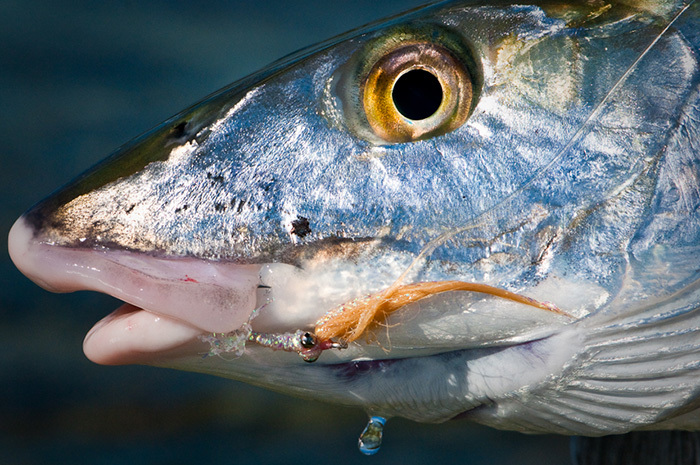 Very good snook and cubera snapper fishing for those who prefer inshore fishing. 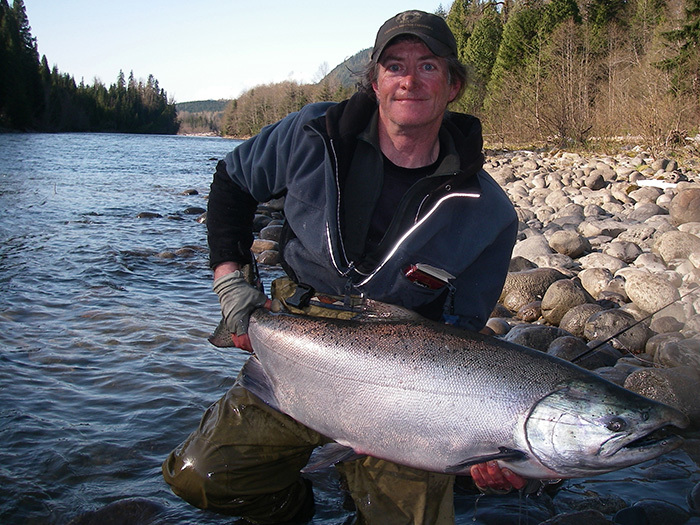 During certain months of the year there are hunting options to be combined with fishing. The Galapagos Islands are hosts to some of the most important water currents in the Eastern Pacific. With 3 mayor currents such as the Crownwell, the Panama and the Humboldt all meeting in the Archipelago. 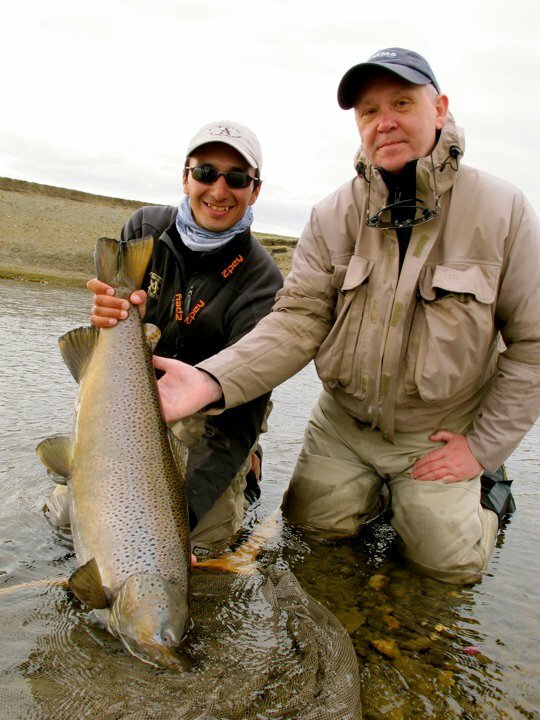 As a result the waters are rich with nutrients and very fertile with fish. 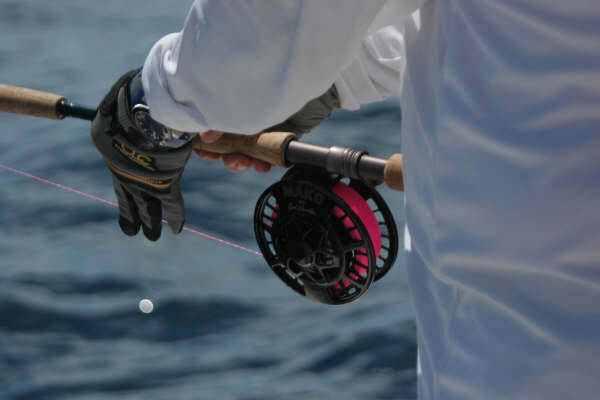 Some of the best striped marlin fishing known to man is found in the waters surrounding the islands. 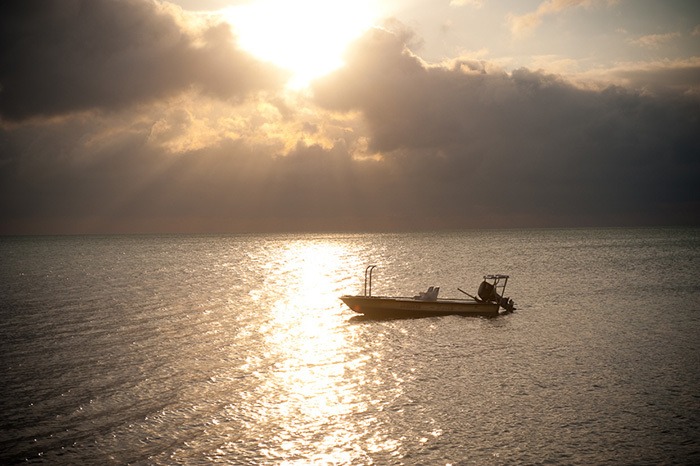 Our Cooperators where the first company to bring sportfishing to the Galapagos and has been the only one to provide consistent and reliable services. 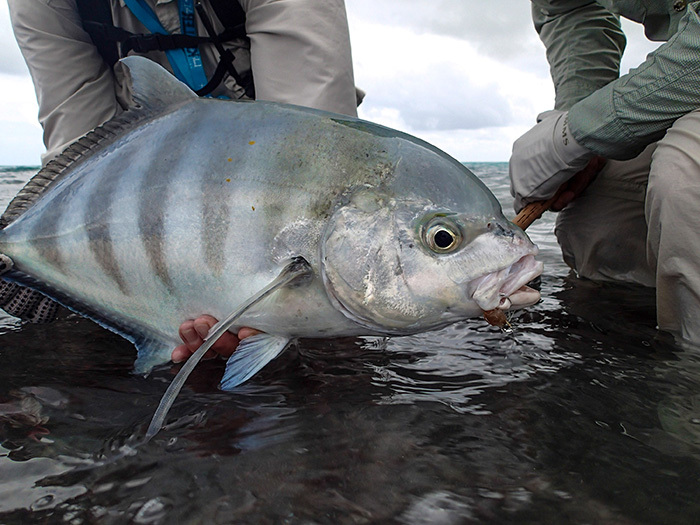 We offer from conventional trolling, pitch baiting to fly fishing for most of the gamefish found in Galapagos. 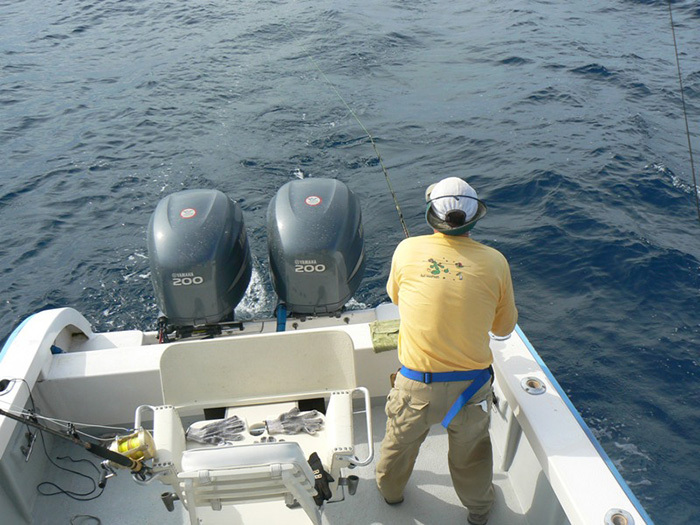 Our boats are prepared with crews and tackle for most occasions and types of fishing. 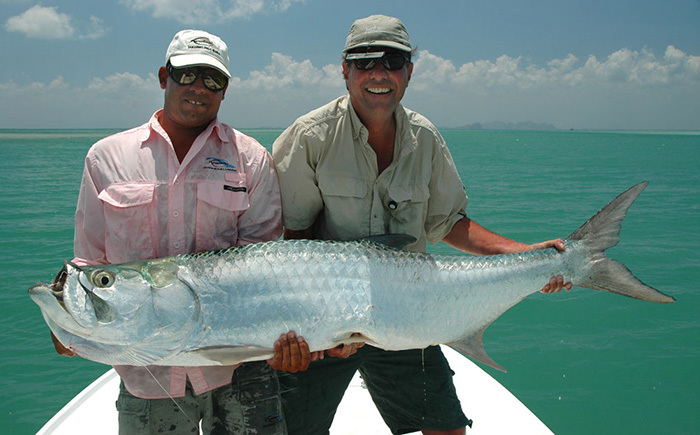 Our most popular fishing is no doubt the striped marlin fishery. 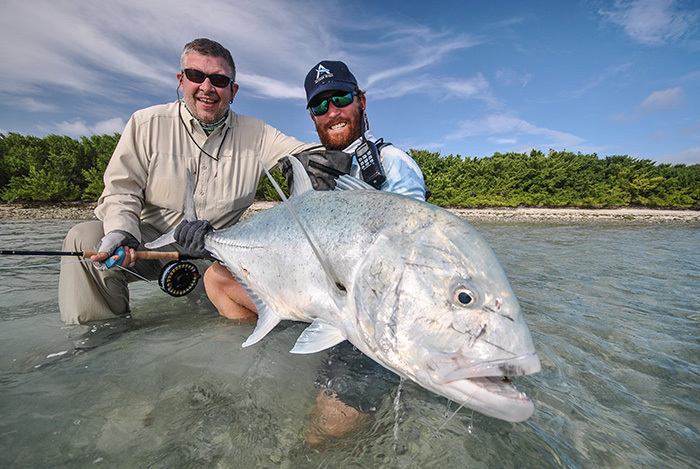 With year round raises averaging from 5 to over 50 fish a day it is rivaled by few places in the world. Wahoo and tuna catches can sometimes be in double digits. 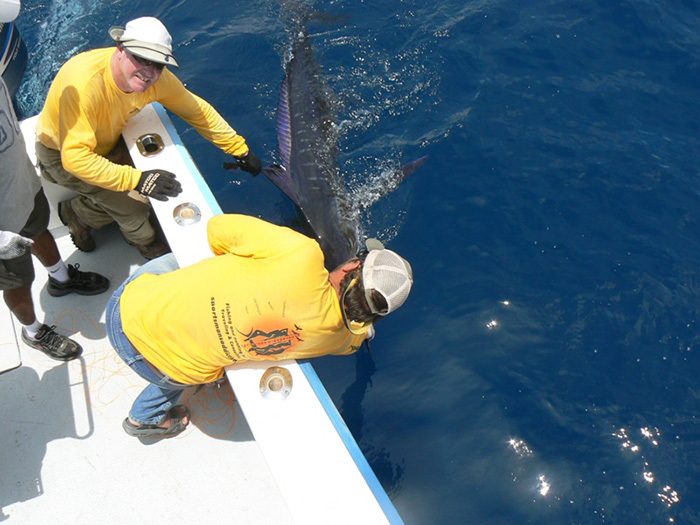 Blue marlin and black marlin are no strangers either. 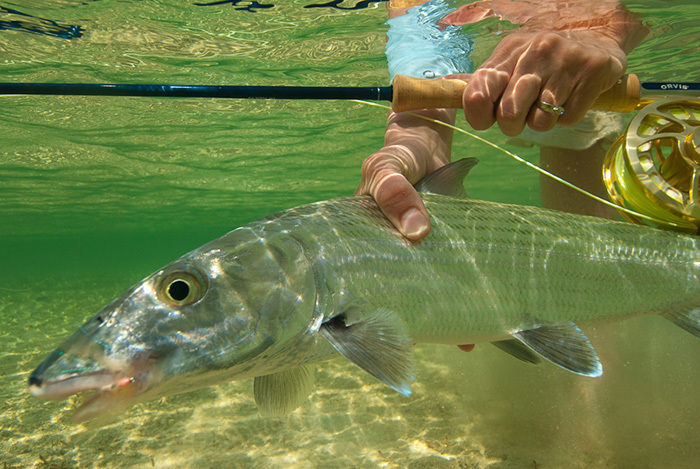 There is very good snook and cubera snapper fishing for those who prefer inshore. 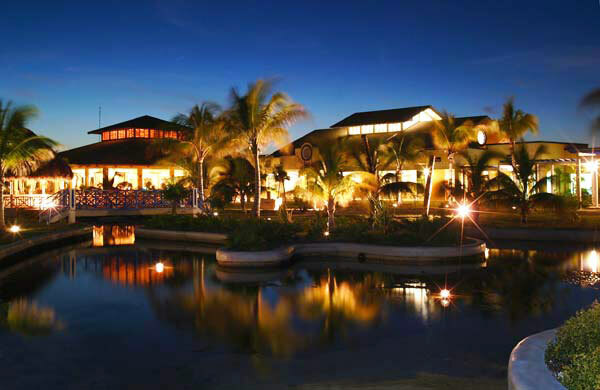 The resort town of Salinas is found about 90 miles from the port city of Guayaquil. 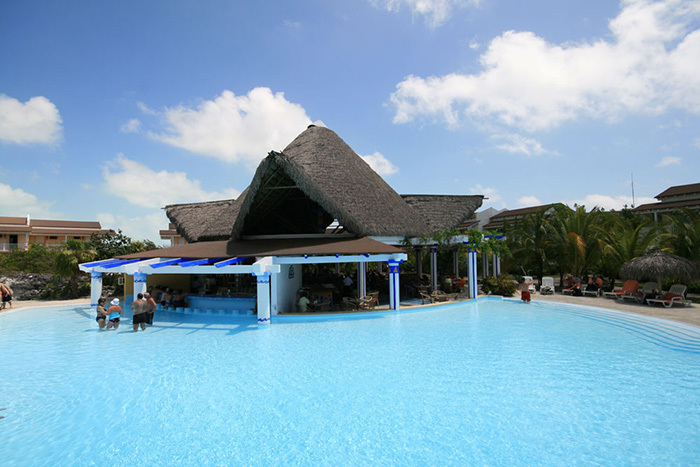 Sporting several hotels, casinos and nightlife, it is Ecuador's most important beach getaway Ecuadorians and foreigners. Just 13 nautical miles offshore you can find the continental shelf dropping from 300 to over 2000 feet. 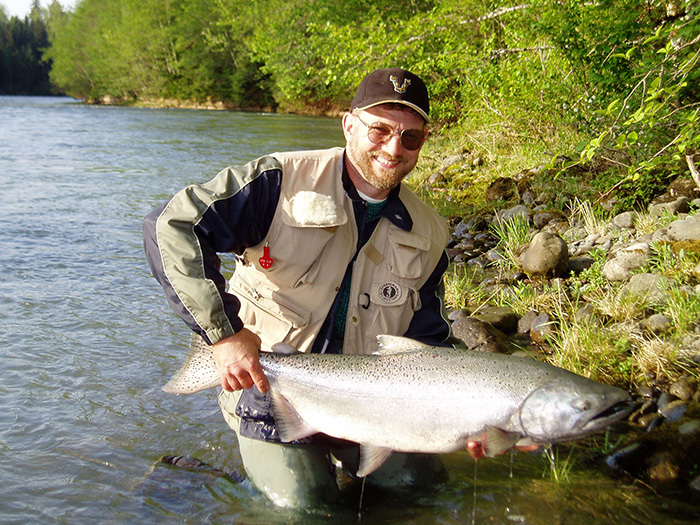 Salinas has been famous for its abundance of mixed game. 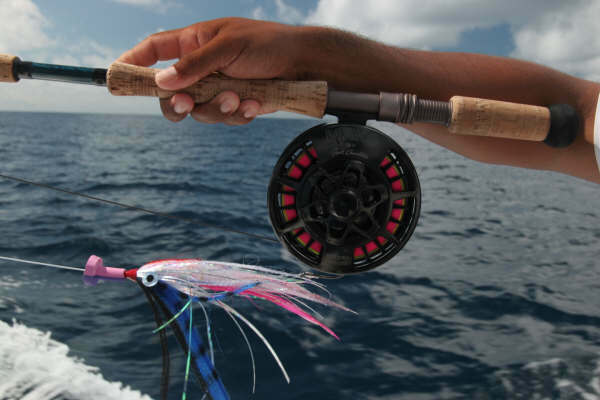 Blue, black and striped marlin are no strangers to these waters. 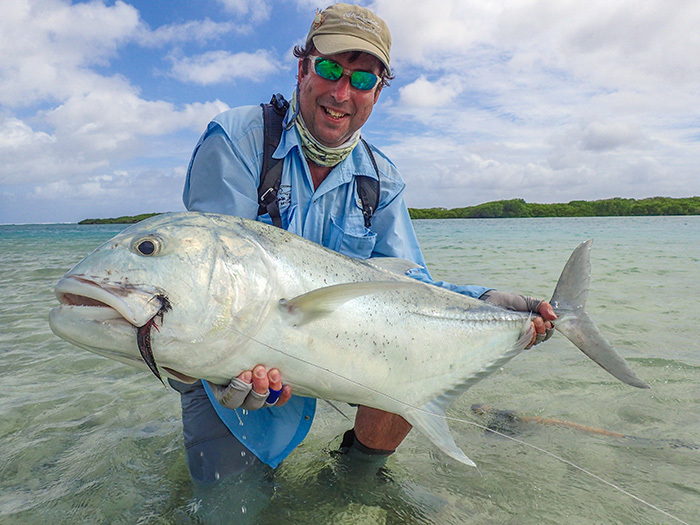 It is not uncommon to catch all 3 species of the larger pacific billfish species. 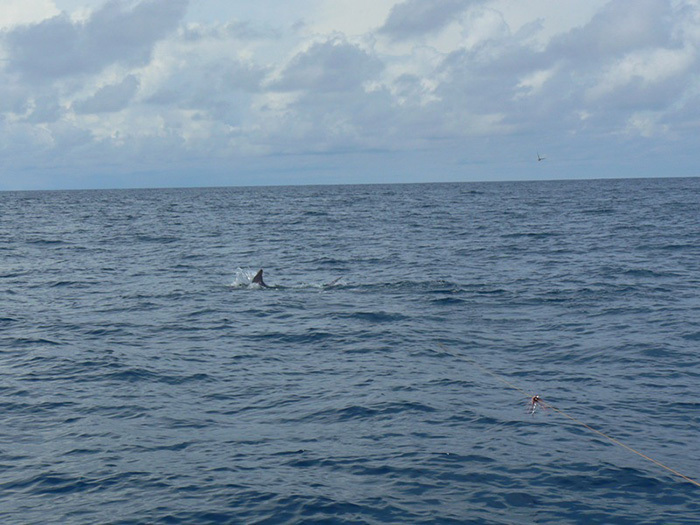 Tuna, wahoo and dolphin are also found in these waters. 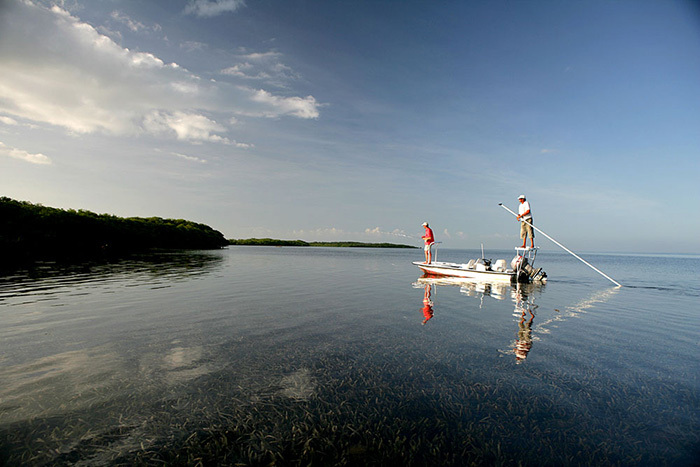 We offer complete packages with the best hotels, boats and crews. 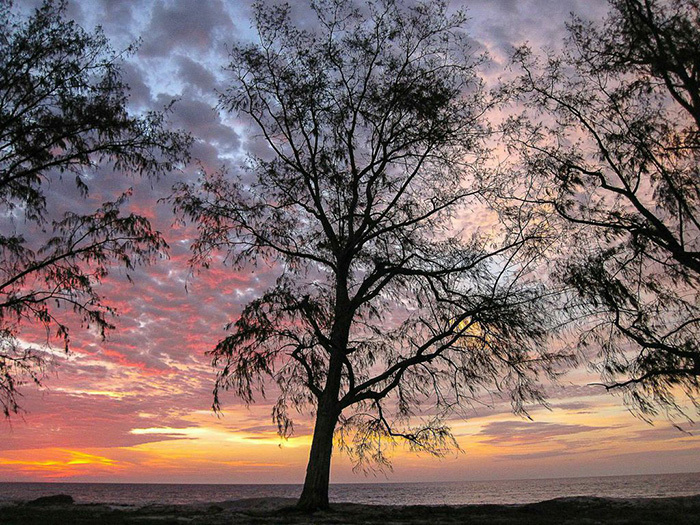 You can enjoy tours of the many beaches along the Sun Route, great seafood, museums, and fun for the whole family. 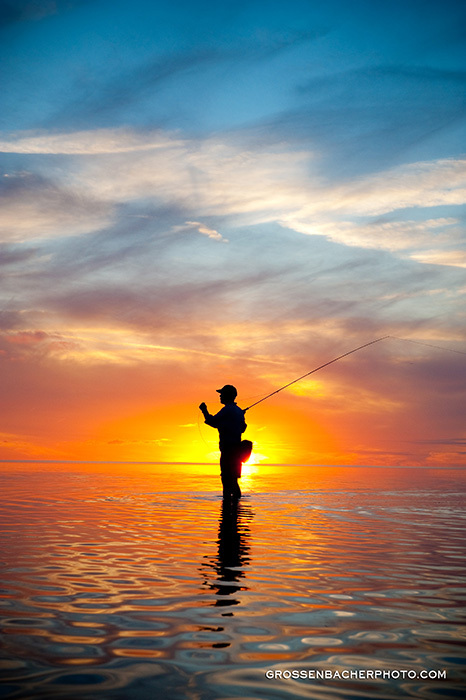 During certain months of the year there are hunting options to be combined with fishing.